Dr. Taylor Chung is a Health Science Clinical Professor of Radiology at UCSF Benioff Children’s Hospital Oakland (BCHO) and has been a physician at BCHO since 2008. He obtained his MD from the University of Pennsylvania. He completed his residency in Radiology at Dartmouth-Hitchcock Medical Center, located in Lebanon, NH. Dr. Chung completed his fellowship in Pediatric Radiology at Children's Hospital at Boston, MA. 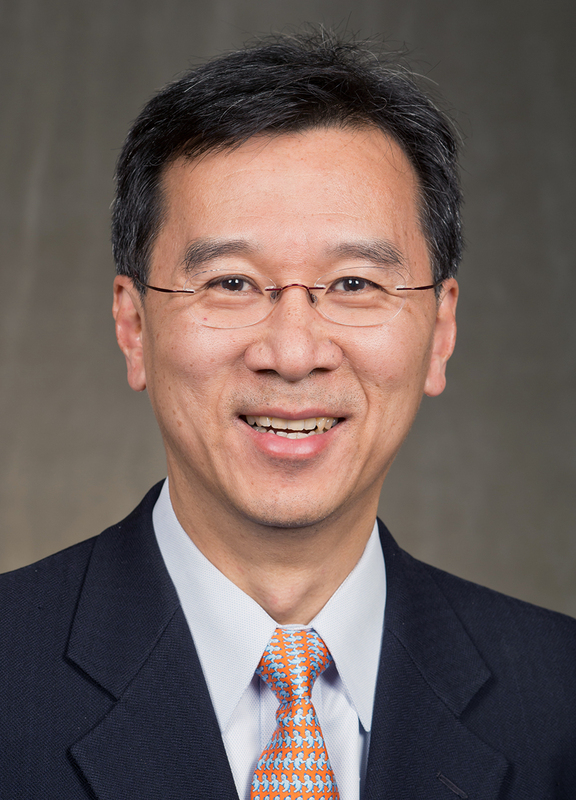 Dr. Chung is the President of the Society for Pediatric Radiology (2018-2019). Kammen BF, Padua EM, Karakas SP, Hagar RW, Hitt DM, Pandya NK, Chung T. Clinical experience with two-point mDixon turbo spin echo as an alternative to conventional turbo spin echo for magnetic resonance imaging of the pediatric knee. Pediatr Radiol. 2019 Feb 06. Kammen BF, Pinar Karakas S, Chung T. Two-point mDIXON turbo spin-echomagnetic resonance imaging of thoracic outlet syndrome at 3-T for robust fat suppression. Pediatr Radiol. 2018 02; 48(2):287-288. Moore MM, Chung T. Review of key concepts in magnetic resonance physics. Pediatr Radiol. 2017 May; 47(5):497-506. Offiah AC, Servaes S, Adamsbaum CS, Argyropoulou MI, Halliday KE, Jaspan T, Owens CM, Raissaki M, Rosendahl K, Stoodley N, Van Rijn RR, Callahan MJ, Chung T, Donaldson JS, Jaramillo D, Slovis TL, Strouse PJ. Initial response of the European Society of Paediatric Radiology and Society for Pediatric Radiology to the Swedish Agency for Health Technology Assessment and Assessment of Social Services' document on the triad of shaken baby syndrome. Pediatr Radiol. 2017 04; 47(4):369-371. Biko DM, Chung C, Hitt DM, Kurio G, Reinhartz O, Chung T. High-resolution coronary MR angiography for evaluation of patients with anomalous coronary arteries: visualization of the intramural segment. Pediatr Radiol. 2015 Jul; 45(8):1146-52. Tai CP, Chung T, Avasarala K. Endomyocardial fibrosis and mural thrombus in a 4-year-old girl due to idiopathic hypereosinophilia syndrome described with serial cardiac magnetic resonance imaging. Cardiol Young. 2016 Jan; 26(1):168-71. Kaiser CA, Chung T, Rosenfeld HM, Reinhartz O. Imaging and surgical repair of a bifurcating aortico-left ventricle tunnel. Ann Thorac Surg. 2011 Feb; 91(2):e23-5. Wang ZJ, Fischer R, Chu Z, Mahoney DH, Mueller BU, Muthupillai R, James EB, Krishnamurthy R, Chung T, Padua E, Vichinsky E, Harmatz P. Assessment of cardiac iron by MRI susceptometry and R2* in patients with thalassemia. Magn Reson Imaging. 2010 Apr; 28(3):363-71. Browne LP, Kearney D, Taylor MD, Chung T, Slesnick TC, Nutting AC, Krishnamurthy R. ALCAPA: the role of myocardial viability studies in determining prognosis. Pediatr Radiol. 2010 Feb; 40(2):163-7. Krishnamurthy R, Muthupillai R, Chung T. Pediatric body MR angiography. Magn Reson Imaging Clin N Am. 2009 Feb; 17(1):133-44. Yedururi S, Guillerman RP, Chung T, Braverman RM, Dishop MK, Giannoni CM, Krishnamurthy R. Multimodality imaging of tracheobronchial disorders in children. Radiographics. 2008 May-Jun; 28(3):e29. Schlesinger AE, Krishnamurthy R, Sena LM, Guillerman RP, Chung T, DiBardino DJ, Fraser CD. Incomplete double aortic arch with atresia of the distal left arch: distinctive imaging appearance. AJR Am J Roentgenol. 2005 May; 184(5):1634-9. Su JT, Chung T, Muthupillai R, Pignatelli RH, Kung GC, Diaz LK, Vick GW, Kovalchin JP. Usefulness of real-time navigator magnetic resonance imaging for evaluating coronary artery origins in pediatric patients. Am J Cardiol. 2005 Mar 01; 95(5):679-82. Chu Z, Cohen AR, Muthupillai R, Chung T, Wang ZJ. MRI measurement of hepatic magnetic susceptibility-phantom validation and normal subject studies. Magn Reson Med. 2004 Dec; 52(6):1318-27. Chung T. Magnetic resonance angiography of the body in pediatric patients: experience with a contrast-enhanced time-resolved technique. Pediatr Radiol. 2005 Jan; 35(1):3-10. Chung T, Muthupillai R. Application of SENSE in clinical pediatric body MR imaging. Top Magn Reson Imaging. 2004 Jun; 15(3):187-96. Su JT, Chung T, Kovalchin JP. Magnetic resonance imaging of coronary and systemic aneurysms in Kawasaki disease. Cardiol Young. 2004 Apr; 14(2):198-9.